14 different QR code types of static or dynamic QR codes. Download in EPS, SVG, PNG or JPG format. Create beautiful customized QR codes with colours, shapes and pixels, your logo or use our ready-made icons. When generating customized QR codes check readability bar to assure quick and reliable scanning. Custom QR codes bring more attention to your QR code campaign, more scans and better campaign performance. When generating a new QR code you can save your QR code design as a QR template. Use the QR template next time or use it when you want to automate generation of custom QR codes out of your application via API. For unique QR templates please get in touch. You can hire our team to create a unique QR code template out of your design requirements or high resolution printable sticker sheet with custom QR code and dynamic fields. There are 14 QR code types. Dynamic QR codes can be edited anytime in order to redirect them to a new URL. Changing the code type or the content won't affect your printed QR code. Dynamic codes are trackable and can be branded with your own domain. 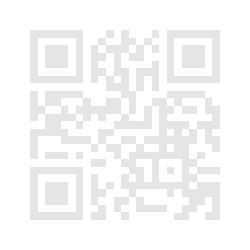 When your campaign is launched, you can start tracking your QR codes. Scan statistics - number of scans, unique scans, date and time, location and with what devices codes have been scanned, giving you essential intelligence about your audience engagement and performance of your QR code campaigns. User-friendly data grids and charts provide all important data to understand your QR code campaign conversion and performance. You can download all collected data in Excel, CSV or XML format. Analyze all collected data through an interactive zoomable map, filters and data grids. All locations are grouped into a zoomable map. All scans come with meta data into location, country of origin, state, city. Analyze your QR code campaigns with real time powerful analytics. Export all data for further comparison. When you need to do last-minute campaign changes or to respond in case of emergency, updating or changing the code only requires a few clicks to fix. With dynamic QR codes you have full flexibility and more. All QR codes can be paused or even protected with a password when you want to share only VIP content. Create dynamic or static QR code automatically. Use for fast QR code generation and integration into your marketing systems. Works with Zapier. Create dynamic QR codes and beautiful Mobile apps! Ready to upgrade your marketing efforts? Engage your audience and customers with unique URL address and more. Tip: If you plan to put a QR code on your packaging then you should consider using custom URL from the start. This way you will protect your long lasting QR codes better. Become a reseller and Re-brand Esponce frontend and backend services to suit your business needs. Your clients won't see any mention of Esponce while they are using the service offered by you. Backend can be adjusted to German, French, Spanish, Portuguese, Russian, Swedish, Norwegian. If you would like to add a new language, change or adapt wording please contact us. Create your QR code with colours, your logo, shapes and pixels and get more scans at the end of the week. Create unique QR code design and then use it as a template via our QR code API to automate your flow. Download QR codes in EPS, SVG, PNG and JPG format. Dynamic QR codes can be edited at anytime and the update won't affect your printed QR code. When you need you can switch your code from URL to vCard, mobile coupon, survey or win contest campaign. Audience engagement statistics and performance of your QR code campaigns. Download all data in Excel, CSV or XML format. Managing and editing your pool of QR codes through an easy to use interface. Use your own custom domain to white-label all your QR codes and Mobile apps and more. dynamic QR codes and beautiful Mobile apps.